OUR NEWS: We are delighted to announce that an expanded version of Credit Insurance News Digest's regular business information section is now available in our newly launched sister publication, Credit Management News Digest. The new Digest will provide a greater breadth of current business, economic and credit management news items, alongside new sections (this month we look at business apps) and, during 2019, will be published concurrently with Credit Insurance News Digest. This month's Quiz consists of questions sourced from both Credit Insurance News Digest and Credit Management News Digest. 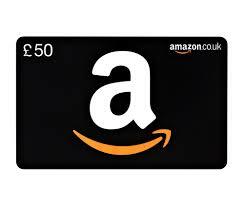 We are grateful to our sponsor Markel for providing an Amazon gift card for £50 as this month's prize. THE NEXT CREDIT INSURANCE NEWS DIGEST WILL BE AVAILABLE ON WEDNESDAY 8 MAY 2019. IN THE MEANTIME, DO CHECK BACK REGULARLY FOR NEW CAREER VACANCIES AND LATEST EVENTS AND OFFERS.